Plenty of protein. Plenty of flavor. No added sugar. 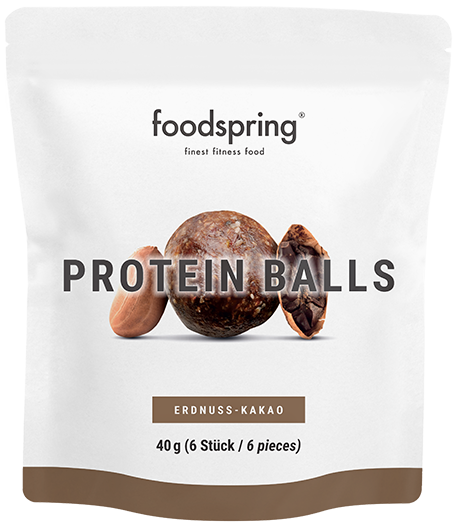 Our Protein Balls are the perfect, nutritious snack for your healthy lifestyle. Six hand-picked ingredients, including quality raw nuts and dates, combined with our premium whey protein, made with grass-fed milk. Treat your taste buds to a powerful snack. We combine the best raw ingredients with the best that nuts have to offer: fine coconut meets nutty cashew. Rich cocoa meets pure peanut. Quality fatty acids provide energy in every bite. Plus extra protein so you can be your best every day, at the office, in the gym, or wherever life takes you. Post-workout. Between meals. Curled up in front of the TV. Our Protein Balls are the smart alternative. Whenever you need a sweet pick-me-up. A blast of flavor for all your snack attacks. May contain traces of gluten, nuts, and sesame. Protein Balls are the perfect on the go snack. Enjoy a delicious treat made from cocoa and peanuts or cashews and coconut whenever you get a craving for something sweet. Protein Balls will be back in stock shortly.